The Festival of Women Authors originated in Long Beach, California in 1982 with a vision to bring the work of outstanding contemporary women authors to the community. Since that first year, the Festival has been enthusiastically supported by an audience of avid readers. The authors are presented throughout a day-long program offering opportunities to attendees to mingle with fellow readers, meet authors and have books autographed. 2015 speakers are Aimee Bender, Kate Christensen, Jennifer Clement, Sloane Crosley, Christina Henriquez, Eleanor Morse, and Jenny Offill. In the tradition of M.F.K. Fisher, Laurie Colwin, and Ruth Reichl, Blue plate special is a narrative in which food--eating it, cooking it, reflecting on it--becomes the vehicle for unpacking a life. Christensen explores her history of hunger--not just for food but for love and confidence and a sense of belonging--with a profound honesty, starting with her unorthodox childhood in 1960s Berkeley as the daughter of a mercurial legal activist who ruled the house with his fist. 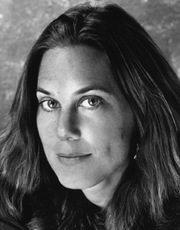 Kate Christensen is currently considered a "single author." If one or more works are by a distinct, homonymous authors, go ahead and split the author. Kate Christensen is composed of 2 names. You can examine and separate out names.